COLUMBUS, Ohio--(BUSINESS WIRE)--Wizard World, Inc. (OTCBB:WIZD) has secured Mike Tyson, one of the greatest boxers of all time, the former undisputed heavyweight champion of the world and a pop culture phenomenon, to attend Wizard World Comic Con Columbus on Saturday and Sunday, September 19-20, 2015. Tyson won his first 19 professional bouts by knockout, 12 of which were in the first round, becoming the youngest heavyweight champion of the world at age 20. His 50-6 record (two no contests) included WBA, WBC and IBF titles. Tyson will greet fans, sign autographs, pose for photo ops and participate on an interactive Q&A panel at the pop culture extravaganza, which is Wizard World’s fifth visit to the Greater Columbus Convention Center (the event was formerly known as Wizard World Ohio). The event will mark Tyson’s first Wizard World appearance. The 18th of 24 events currently scheduled on the 2015 Wizard World U.S. tour, Columbus show hours are Friday, September 18 from 3-8 p.m., Saturday, September 19 from 10 a.m.-7 p.m., and Sunday, September 20 from 11 a.m.-5 p.m.
Wizard World Comic Con Columbus is also the place for cosplay, with fans young and old showing off their best costumes throughout the event. Fans dressed as every imaginable character – and some never before dreamed – will roam the convention floor and participate in the famed Wizard World Costume Contest on Saturday night. For more on the 2015 Wizard World Comic Con Columbus, visit www.wizardworld.com/home-columbus.html. Wizard World, Inc. (OTCBB:WIZD) produces Comic Cons and pop culture conventions across North America that celebrate the best in pop-fi, pop culture, movies, television, cosplay, comics, graphic novels, toys, video gaming, sci-fi, gaming, original art, collectibles, contests and more. A first-class lineup of topical programming takes place at each event, with celebrity Q&A's, comics-themed sessions, costume contests, movie screenings, evening parties and more. Wizard World has also launched CONtv, a digital media channel in partnership with leading independent content distributor Cinedigm™ (NASDAQ:CIDM), and ComicConBox™, a premium subscription-based monthly box service. Fans can interact with Wizard World on Facebook, Twitter, Pinterest, Instagram and other social media services. The 2015 Wizard World Comic Con schedule is available here. San Francisco, CA -- Kodansha Advanced Media, a subsidiary of Kodansha Ltd., specializing in digital content delivery, invites manga and Japanese pop culture fans to celebrate the launch of a unique digital content venture with a special open house event – The Kodansha Comics Manga Gallery – at the company’s new San Francisco offices located at Digital Garage. The Kodansha Comics Manga Gallery runs Friday, August 7th thru Sunday, August 9th, 2015 at the Digital Garage/DG717 complex located at 717 Market St., San Francisco, CA and is presented in conjunction with the 2015 J-POP SUMMIT, at which Kodansha will be a participant and sponsor. The Manga Gallery will be open from 10:00am to 6:00pm each day thru Sunday, August 9th and is FREE and open to the public to attend. The Kodansha Manga Gallery will feature a dynamic collection of works by renowned manga artists/creators such as Katsuhiro Otomo (AKIRA), Naoko Takeuchi (Sailor Moon), Hajime Isayama (Attack on Titan), Hiro Mashima (Fairy Tail), Hitoshi Iwaaki (Parasyte), Shirow Masamune (The Ghost in the Shell) and many more! 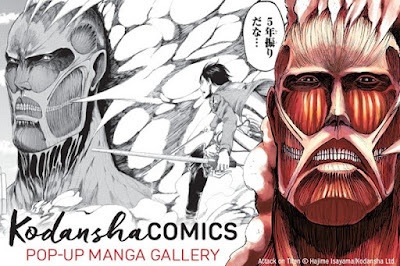 For those unable to attend the physical exhibit in S.F., Kodansha also will present an Online Gallery featuring the artwork at kodanshacomics.com. • Visitors to the Manga Gallery can interactively engage with the artwork using beacon app technology developed by Digital Garage. • Attendees and manga fans at the Interactive Pavilion can catch a massive Colossal Titan display (from the hit series Attack on Titan) in person at Fort Mason Center. As part of the Kodansha display, J-POP SUMMIT attendees can capture Attack on Titan in a whole new way with RICOH's spherical THETA camera, which takes dynamic 360-degree photos. • Experience a virtual reality comics reader through the publisher’s collaboration with FOVE, a Japanese company developing the world's first eye-tracking VR headset. The J-POP SUMMIT is a massive annual Japanese pop culture event held each summer in San Francisco and features a colorful assortment of Japanese pop-influenced culture, fashion, pop art, live music, technology and travel exhibits, along with celebrity Guests of Honor, anime programming, cos-play and pop idol contests, and a wide assortment of vendors and other on-site attractions. The 2015 J-POP SUMMIT takes place on Saturday and Sunday August 8th & 9th at the historic Fort Mason Center in San Francisco’s Marina district. Tickets and additional information are available at: www.J-POP.com. Established in New York in 2008, Kodansha USA Publishing (KUP) is a subsidiary of Kodansha Ltd., Japan’s largest publisher. KUP’s first works under the Kodansha Comics imprint were Katsuhiro Otomo’s Akira and Masamune Shirow’s The Ghost in the Shell. KUP has expanded their catalog to include such titles as Fairy Tail by Hiro Mashima, Attack on Titan by Hajime Isayama, Shugo Chara by PEACH-PIT, and Sailor Moon by Naoko Takeuchi. Kodansha Comics is distributed by Penguin Random House Publisher Services. Established in San Francisco in late 2014, Kodansha Advanced Media is also a subsidiary of Kodansha Ltd., specializing in digital content delivery. Additional information available at: http://www.kodanshacomics.com. HOLLYWOOD, CA – The world premiere red carpet live stream of “MISSION: IMPOSSIBLE – ROGUE NATION” on Yahoo! has broken records to become the site’s most successful premiere live stream ever. The exclusive online event allowed millions of “MISSION: IMPOSSIBLE” fans around the world to join the premiere from their homes, offices and mobile devices. The success of the live stream event was driven by promotions across Yahoo’s global network and social media channels including Tumblr, plus social media support from the stars of the film. The “MISSION: IMPOSSIBLE – ROGUE NATION” world premiere took place at the Vienna State Opera on July 23rd, 2015 with the film’s stars Tom Cruise, Simon Pegg and Rebecca Ferguson, director Christopher McQuarrie, and producers David Ellison, Dana Goldberg and Don Granger in attendance. Paramount Pictures will distribute “MISSION: IMPOSSIBLE – ROGUE NATION” beginning July 31, 2015. Yahoo is a guide focused on making users' digital habits inspiring and entertaining. By creating highly personalized experiences for our users, we keep people connected to what matters most to them, across devices and around the world. In turn, we create value for advertisers by connecting them with the audiences that build their businesses. Yahoo is headquartered in Sunnyvale, California, and has offices located throughout the Americas, Asia Pacific (APAC) and the Europe, Middle East and Africa (EMEA) regions. 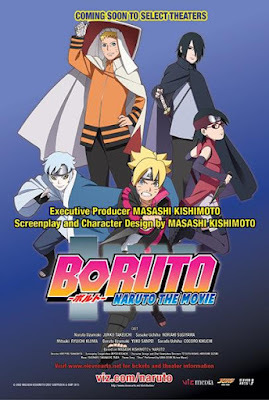 San Francisco, CA – VIZ Media, LLC (VIZ Media), the largest publisher, distributor and licensor of manga and anime in North America, announces that it has partnered with Los Angeles-based film distribution company ELEVEN ARTS to present BORUTO: NARUTO THE MOVIE in a series of exclusive theatrical engagements around the United States starting on October 10th, 2015. Theatregoers will have a very special opportunity to catch the big-screen debut in over 80 cities, including New York, Houston, Dallas, Los Angeles, San Diego, San Francisco, Seattle, and more! From Vulture: The all-male Ghostbusters reboot, to go along with the all-female Ghostbusters movie, might happen. From Vulture: Queen Latifah and Mary J. Blige join NBCs upcoming version of "The Wiz." From YahooMovie: New Line is plotting a reboot of iconic 70s film, "Shaft." From Variety: Tommy Lee Jones joins Matt Damon in the next "Jason Bourne" film. From ThePlaylist: Richard Linklater is the frontrunner to direct "The Rosie Project" starring Jennifer Lawrence. From BoxOfficeMojo: Because of early estimates, Disney/Marvel is declaring "Ant-Man" as the winner of the 7/24 to 7/26/2015 weekend box office with an estimated take of $24.675 million. If this holds, "Ant-Man," which was #1 at the box office last weekend, will repeat as champ. From HuffingtonPost: Bobbi Kristina Brown, the daughter of the late singer, Whitney Houston, and singer Bobby Brown, has died at the age of 22, Sunday, July 26, 2015. From YahooGames: Mark Hamill gave voice to "The Joker" in the beloved "Batman: The Animated Series." Now, Hamill returns to voicing the Joker in direct-to-DVD adaptation the famous Batman comic book, "Batman: The Killing Joke." From YahooNews: Rachel McAdams confirms that she is in talks regarding Marvel's "Doctor Strange" film. From YahooMovies: A wanted fugitive was starring in a horror movie, while on a probation violation. SEVEN24 Films and IDW Entertainment announced today that Syfy has acquired the U.S. rights to Wynonna Earp, a live action television series based on the IDW Publishing comic created by Beau Smith. Emily Andras ("Lost Girl," "Killjoys") developed the series for television and will serve as Executive Producer and Showrunner. San Francisco, CA – The 2015 Japan Film Festival of San Francisco (JFFSF), the first and only fully-dedicated Japanese film celebration for the S.F. Bay Area together with the 2015 J-POP SUMMIT proudly present actor Tadanobu Asano, anime director Koji Morimoto and techno DJ Legend Ken Ishii as official Guests of Honor for San Francisco’s annual Japanese pop culture festival. 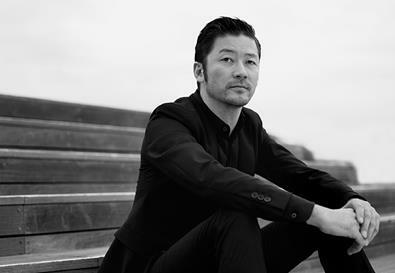 Tadanobu Asano will attend the opening night event at The Castro Theatre to receive Japan Film Festival of San Francisco Honorary Award. Tadanobu Asano is widely known for starring roles in movies such as Ichi the Killer, Zatoichi, Thor, 46 Ronin, and Battleship. Koji Morimoto is renowned as one of Japan’s top anime directors and is also a founder of acclaimed Studio 4℃ and known for works such as Animatrix and Genius Party Beyond. Ken Ishii is a legendary techno DJ and producer who has performed live internationally and enjoys a worldwide fan base in the electronic music scene. An Opening Night Event on Friday August 7th at The Castro Theatre kicks off the Japan Film Festival of S.F. with a special 35mm presentation of director Sogo Ishii’s Electric Dragon 80000V, a rollicking comic-book style action film that stars top Japanese actor Tadanobu Asano, who will be on hand to personally introduce the film and participate in an audience Q&A immediately following the screening. Throughout the weekend, the Japan Film Festival of S.F. will present additional films also starring Asano, including My Man and Blind Swordsman: Zatoichi. The Opening Night Event will culminate with a live DJ set collaboration between Japan’s legendary techno DJ and producer, Ken Ishii, and director Koji Morimoto. Advance tickets to the 2015 J-POP SUMMIT/JFFSF Opening Night Event at the Castro Theatre are available now for $25.00 each from http://jpop2015.brownpapertickets.com. Tadanobu Asano also is set to appear at the SF premiere screening of My Man on Saturday, August 8th 6:00PM. Asano will introduce the film and will participate in an audience Q&A at NEW PEOPLE Cinema. Koji Morimoto is set to appear at the 2015 J-POP SUMMIT at Fort Mason Main Stage on Saturday, August 8th, 12:00 PM ahead of the screening event, The World of Koji Morimoto, a collection of 3 illustrious animated short films by Koji Morimoto set to screen on Sunday, August 9th, 1:50pm at NEW PEOPLE Cinema. Morimoto will introduce the film and will participate in an audience Q&A. Koji Morimoto will additionally appear for an autograph session at on Saturday, August 8th 1:30 PM in bookseller Kinokuniya’s booth at Fort Mason. Additional details to be announced shortly at J-POP.com. Ken Ishii is set to headline a second evening concert performance of J-POP LIVE NIGHT on Sunday, August 9th at the 2015 J-POP SUMMIT Fort Mason. Opening in conjunction with the 2015 J-POP SUMMIT on Saturday, August 8th and running thru Sunday, August 16th, the 2015 Japan Film Festival of San Francisco will take place at the NEW PEOPLE Cinema, located inside the NEW PEOPLE entertainment complex in Japantown at 1746 Post St., San Francisco, CA 94115 (www.newpeoplecinema.com). Tickets to individual screenings are $13.00 each, unless otherwise noted. Film summaries, trailers, screening times and advance tickets are available at: www.JFFSF.org. Dragon Eye Morrison (played by Tadanobu Asano) is a reptile investigator who suffers from an intermittent explosive disorder caused by brain damage he sustained in a childhood accident. He manages to find a way to survive and control his urges to destroy with his love of reptiles and an electric guitar. Meanwhile, Thunderbolt Buddha (played by Masatoshi Nagase), an electric repairman turned vigilante who has acquired powerful electro-conductive powers after sustaining a childhood accident, goes after crime bosses and gangsters that take advantage of electric signals. Holding an obsessive hatred towards Morrison, Thunderbolt Buddha challenges him to a final showdown on the rooftops of Tokyo. When loneliness leads to forbidden love, how far will you go? After losing everything in a tsunami disaster, 10-year-old Hana is taken in by a young distant relative Jungo. The pair begins living together as family while sharing the profound sense of loss. Amidst the deep snows of Hokkaido, both desire to fill their empty, love-starved hearts and they set foot into a forbidden world. When an elder benefactor in their small town Mr. Oshio learns of Jungo and Hana's illicit relationship, tragedy begins to take over. Don't miss the special personal appearance by actor Tadanobu Asano who will introduce this film! A collection of three short films by one of Japan’s top anime director Koji Morimoto, widely known as a founder of Studio 4℃ and his works such as Animatrix and Genius Party Beyond. The famed director will appear in person to introduce the films as well as participate in an audience Q&A. Magnetic Rose (45min): Magnetic Rose is the first of three episodes of MEMORIES, based on the manga by Katsuhiro Otomo (the creator of Akira). The film follows the members of the deep space salvage vessel Corona. While performing a salvage mission, the crew encounters an odd distress signal emanating from the Sargasso region, ominously nicknamed “The graveyard of space.” Soundtrack composed by Yoko Kanno. Noiseman Sound Insect (15min): In the space of music, people used to live in the music fruit in the trees. One day, Dr. Frankein secretly succeeds in creating the creature 'Noiseman' by feeding the music fruit as fuel. Since then, the space was dominated by noise, not music. When a pair of kids Tobio and Reina find out this secret, they challenge Noiseman to bring the music back home again. The film’s soundtrack was written by Japanese composer, arranger, and musician Yoko Kanno. Genius Party Beyond: Dimension Bomb (20min): Dimension Bomb is one of the five short animated omnibus "Genius Party Beyond," produced by Studio 4℃, which director Koji Morimoto founded in 1986. One day, a boy named Shin who wears a pupa-like mask encounters a girl named Koo. The days spent with Koo, who is a free spirit unlike any other, start to fill up his life with cherished and unforgettable moments. Noted musical composer and arranger, Yoko Kanno, provides the voiceover of Koo. Blind Swordsman: Zatoichi is a 2003 samurai action film, directed by and starring actor Takeshi Kitano ("Beat" Takeshi) as Zatoichi. It also co-stars Tadanobu Asano, who plays Ronin Hattori, Zatoichi's rival. The film is a revival of the classic Zatoichi series of film and television series. It won the prestigious Silver Lion for Best Director award at Venice Film Festival and went on to win numerous other awards internationally. Launched in 2013, Japan Film Festival of San Francisco is the first and only fully dedicated Japanese film event for the SF Bay Are. This year’s edition will feature a colorful mix of narratives, anime and documentary film premieres and exclusive screenings with special guest appearance at the NEW PEOPLE Cinema in SF’s Japantown from August 8th (Sat) through August 16th (Sun), 2015. More details and ticket information is available at www.jffsf.org. Otakon 2015 takes place July 24th through July 26th, 2015 at the Baltimore Convention Center in Baltimore, MD. Full details are available at: www.otakon.com. VIZ Media will be located in Booth # IND006. · Shojo Beat 10th Anniversary Calendar Giveaway - Celebrate Shojo Beat’s 10th anniversary! Claim an Anniversary Calendar at the Shojo Beat Panel and VIZ Media booth while supplies last! A limited edition VIZ Media tote bag featuring favorite characters in 3 different designs will be given as a free gift with purchase. Choose from SHONEN JUMP (double‐sided featuring Luffy and Naruto), SAILOR MOON R or THE LEGEND OF ZELDA! Located on the Otakon main show floor, VIZ Media’s booth will be a central hub of activity that will be a must-visit for anime and manga fans. Check the daily posted schedule for each day’s events. Stop by the booth throughout the convention for a FREE TOKYO GHOUL poster giveaway, and take a SAILOR MOON survey to score a free poster featuring the legendary Sailor Guardians. VIZ Media also invites attendees to take part in the SAILOR MOON Quest for the Time Key treasure hunt throughout the convention. Begin your mission at the VIZ Media booth by collecting a SAILOR MOON tiara, then find the Guardians and reawaken each one’s memories. Shonen Jump brought us many classic manga series such as KNIGHTS OF THE ZODIAC, DRAGON BALL and RUROUNI KENSHIN. Think you know them all? Find out at this panel as VIZ Media goes through a list of legendary Shonen Jump classics and how you can get them! Come party with VIZ Media! Hear thrilling tales of upcoming releases and other Earth-shattering announcements from North America's largest distributor of manga and anime! VIZ Media has brought you thousands of your favorite titles including huge hits like Naruto, Death Note, Sailor Moon, Ranma ½, Tokyo Ghoul and more! Warning: panel may include trivia, prizes, yelling and probably some clapping. Join the VIZ Media staff as well as cast members, Sandy Fox (Chibi-Usa) and Lauren Landa (Michiru Kaioh/Sailor Neptune) from the legendary series for news, updates and fun as only the Guardians of Love and Justice can provide. Everyone attending will receive a special treat while supplies last! Be among the first fans to catch the newest English dubbed episodes of SAILOR MOON! Celebrate the 10th Anniversary of Shojo Beat manga with us! VIZ Media’s editors Amy Yu and Nancy Thistlethwaite will look back on a decade of publishing Shojo Beat manga, answer your questions, and let you know what’s coming up in the future! Find out all that's new and awesome with the VIZ Animation team! We'll be talking about upcoming releases, share some announcements and tell you all about the anime streaming service, Neon Alley. Bring all your anime questions, too because we'll be here to answer them! Finally, don’t forget to check the Otakon 2015 screening schedule for a variety of exciting VIZ Media anime titles including showings of BLOOD LAD and RANMA ½! BURBANK, Calif.--(BUSINESS WIRE)--The Walt Disney Studios offers an exclusive look at its upcoming projects from Disney, Pixar, Marvel and Lucasfilm at D23 EXPO 2015, taking place August 14–16, 2015 at the Anaheim Convention Center. San Francisco, CA – VIZ Media, LLC (VIZ Media), the largest publisher, distributor and licensor of manga and anime in North America, has detailed a wide array of brand new manga (graphic novel) and prose novel acquisitions that include several notable titles to be launched during the Winter and Spring 2016 seasons. The acquisitions were announced this past weekend at the 2015 Anime Expo, the largest dedicated anime convention in the U.S. New shojo manga titles include SHURIKEN AND PLEATS, the new series by VAMPIRE KNIGHT creator Matsuri Hino; and BEHIND THE SCENES, a dramatic new comedy by Bisco Hatori, the famed creator of OURAN HIGH SCHOOL HOST CLUB. The highly anticipated post-series spin off to the world’s most popular ninja comic, NARUTO: THE SEVENTH HOKAGE AND THE SCARLET SPRING joins the Shonen Jump catalog. Also joining the lineup will be SCHOOL JUDGMENT: GAKKYU HOTEI, a high school litigation series with story by Nobuaki Enoki and artwork by Takeshi Obata, the acclaimed artist of DEATH NOTE, ALL YOU NEED IS KILL, and BAKUMAN. With the debut of DRAGON FULL COLOR: FREEZA ARC, fans can experience Akira Toriyama’s bestseller in a whole new way. Finally, from the Haikasoru imprint, literary fans can look forward to the debut in Spring 2016 of THE LEGEND OF THE GALACTIC HEROES: DAWN, the first volume of the classic space opera novel series that translates the European wars of the 19th Century to an interstellar setting and that won the Seiun Award for Best Science Fiction novel in 1987. Created by Matsuri Hino, the renowned creator of VAMPIRE NIGHT, MERUPURI and CAPTIVE HEARTS (all available from VIZ Media), when the master she has sworn to protect is killed, Mikage Kirio, a skilled ninja, travels to Japan to start a new, peaceful life for herself. But as soon as she arrives, she finds herself fighting to protect the life of Mahito Wakashimatsu, a man who is under attack by a band of ninja. From that time on, Mikage is drawn deeper into the machinations of his powerful family. BEHIND THE SCENES is a dramatic new comedy from Bisco Hatori, the creator of OURAN HIGH SCHOOL HOST CLUB and MILLENNIUM SNOW! Ranmaru Kurisu comes from a family of hardy, rough-and-tumble fisher folk, and he sticks out at home like a delicate, artistic sore thumb. It’s given him a raging inferiority complex and a permanently pessimistic outlook. Now that he’s in college, he’s hoping to find a sense of belonging. But after a whole life of being left out, does he even know how to fit in?! Akira Toriyama's original, bestselling series is now available in a full-color version! After his epic battle with Vegeta, Son Goku must obtain the wish-granting Dragon Balls in order to resurrect their fallen allies! Their search will take them all the way to the planet Namek where the evil Freeza and his minions are slaughtering the Namekians in order to fulfill Freeza’s wish for immortality. What will it take to defeat this great evil? This latest Haikasoru literary release was authored by Yoshiki Tanaka and launches a highly anticipated series of novels. In the 36th Century humanity has conquered the galaxy and colonized countless star systems. The Galactic Empire, modeled along Prussian lines, and the democratic Free Planets Alliance are at war, and the fate of every human being in the universe hangs in the balance. This classic Japanese space opera, which was adapted into a legendary anime, is finally available in English for the first time. In order to curb the crime running rampant in the elementary school system, a new solution has been enacted in the form of the School Judgment System. Now the young students themselves will be responsible for solving the issues that befall them. But are they up for the task? 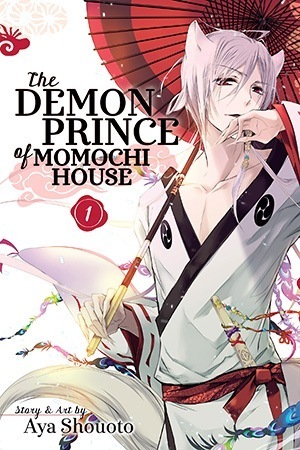 VIZ Media Launches "The Demon Prince of Momochi House"
San Francisco, CA – VIZ Media, LLC (VIZ Media), the largest distributor and licensor of manga and anime in North America, has announced the launch of Aya Shouoto’s THE DEMON PRINCE OF MOMOCHI HOUSE. BALTIMORE, MARYLAND - The 2015 Baltimore Comic-Con takes place the weekend of September 25-27, 2015 at the Baltimore Convention Center in the beautiful Inner Harbor. Buy your VIP, General Admission, and Harvey Award tickets now! 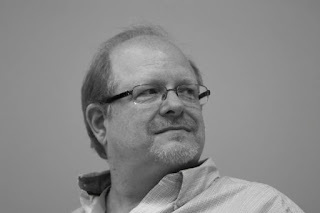 The Baltimore Comic-Con is privileged to announce this year's Guest of Honor: Mark Waid. Waid's career in comics began in the 1980s when he wrote for Fantagraphics' comics fan magazine, Amazing Heroes. His first comics contribution, an 8-page back-up story that ran in Action Comics, was at DC Comics, where he would spend his formative years. He took on an editorial role at DC, helming titles including Action Comics, Doom Patrol, Infinity, Inc., Legion of Super-Heroes, Secret Origins, and Wonder Woman. He is also co-creator of the DC Elseworlds line of comics. In the late 1980s, Waid left his editorial position to begin working freelance, writing for DC's Impact line on titles like The Comet and Legend of the Shield. As he entered the early 1990s, Waid took over the reins on The Flash, where he would spend the next 8 years developing the story lines and characters, including creating the popular speedster, Impulse, who would go on to star in his own Waid-scripted title. In the mid-1990s, he was the mind behind the DC crossover, Underworld Unleashed, writing the limited series. Taking on his first role at Marvel Comics in the mid-1990s, Mark contributed to the X-Men crossover event, Age of Apocalypse, writing X-Men: Alpha and X-Men: Omega. Also for the X-Men line, Waid co-created Onslaught, the character behind the line-wide event. Later, he went on to pen numerous and acclaimed runs on Captain America and associated titles, including multiple volumes of the core title. Back at DC, Waid and artist/creator Alex Ross penned the futuristic Kingdom Come, a limited series painted by Ross that would redirect aspects of the DC Universe to match the story written, and which spawned The Kingdom, a follow-on limited series penned by Waid. He also, along with writer Grant Morrison, came up with the concept of "Hypertime" which explained continuity discrepencies in the DC Universe. He wrote numerous Justice League titles, including JLA, JLA: Year One, Justice League Task Force, Justice League Quarterly, and JLA: Heaven's Ladder. At the short-lived Gorilla Comics, of which he was a co-founder, Waid wrote Empire with artist Barry Kitson (but the title completed its run at DC after Gorilla folded after 2 issues of the title had been released). He also worked for CrossGen, penning the first year of Ruse. Waid wrote an acclaimed, and briefly controversial due to conflicts with management at the time, run on Fantastic Four at Marvel, with late artist Mike Wieringo. The controversy ended after fan outcry caused a decision to fire the team to be reversed. In the mid 2000s, Waid's noteworthy work at DC Comics, where he spent 2 years under exclusive contract, included the Superman: Birthright limited series, a run on Legion of Super-Heroes, the 52 crossover series, a relaunch of The Brave and the Bold, and another run on The Flash. After his DC exclusive ended, Waid's Marvel work was similarly lauded, with contributions to Amazing Spider-Man, the Strange limited series, The Indestructible Hulk, The Hulk, and S.H.I.E.L.D. 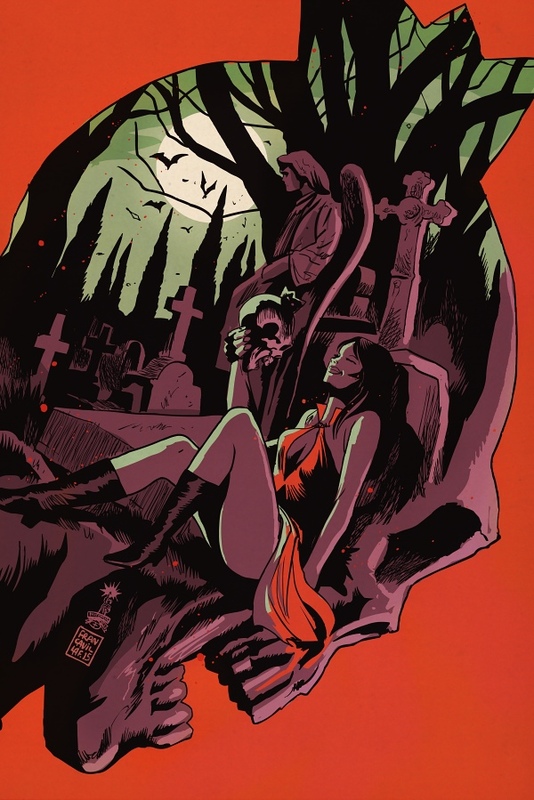 He is also one of the brains behind the multiple-Harvey and Eisner Award-winning Daredevil title, which has run in multiple volumes under his leadership. After writing Irredeemable and Incorruptible at BOOM! Studios, Waid became the publisher's Editor-in-Chief in 2007, and briefly took on the role of Chief Creative Officer for the publisher in 2010 before returning to freelancing. He also launched the digital publishing website Thrillbent, with his title Insufferable as the inaugural series. He is currently in the process of recreating the Archie character at Archie Comic Publications. "Mark Waid has been with us every year except our second," said Marc Nathan, promoter of the Baltimore Comic-Con. "He is an exceptional creative talent, he is an exceptional driver for the forward progress of our industry, and he is an exceptional friend. We love him and, with his 30 years of work in the comics industry and across the publishing landscape, we know his broad fan base loves him too, so we are euphoric to be able to present Mark as our 2015 Guest of Honor."